Blog / Social Media is Everywhere… Yes, even There! Today, as I write this, I’m struck with the sudden realization that this is my 50th Cyber Security Newsletter! Where did the time go? So, it’s time to shake off that turkey coma and get down to it! So, what’s on the agenda this time? These are names that most people are probably familiar with. 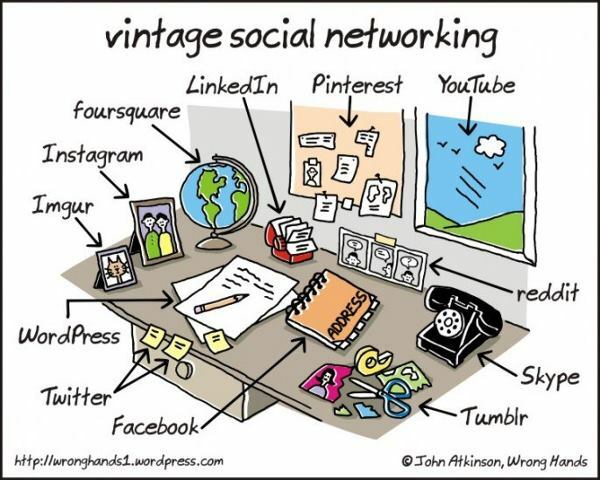 Social Networking has grown from an interesting idea (back when I was in school), to a cultural norm in a large portion of the world. Given how pervasive it is, I am continually surprised at the number of businesses that completely ignore its’ existence, as well as the potential impact it can have on them. As a Managed Service Provider, TRINUS has many Customers. Many of them have Official IT Policies governing all sorts of activity (from passwords to backups and more.) It’s interesting that few of them contain any reference to Social Media. Unless there is an official company Twitter feed and/or Facebook page, Social Media is often forgotten about, when Employee Behaviour Policies are written. Think again. The National Health Service (NHS) in the United Kingdom has taken disciplinary action against HUNDREDS of people for acting badly on Social Media. They were doing things like sharing Patient information, bragging about being drunk on the job; all sorts of naughty things! The simple fact is, discussing work-related topics on Social Media can reflect poorly on the individual, AS WELL AS their Employer. What organizations seem to be overlooking is that an Employee’s conduct on the job (and sometimes off the job) reflects on them. Now then, I don’t know what the NHS Policies are, or if they covered Social Media. However, I’m willing to bet that if they were covered at all, it was only about not overusing them, at first. At this point, I’m also willing to bet that they have been updated to include some text about overuse, as well as misuse of Social Media. Failing to have a Policy that covers certain behaviours can result in a situation where disciplinary action is limited, or not even possible. If an Employee caused damage to a business, though violated no Laws or Policies while doing so, that greatly limits actions that can be taken in response to a bad situation. Social Media Platforms are everywhere and get used heavily. Don’t wait for something bad to happen to update your Policies. At the end of the day, it’s for your own protection. Should you have any questions about improving your IT Policies, you can always reach out to your TRINUS Account Manager for some stress-free IT.